Gene Soucy, the son of two pilots, soloed in a glider at age fourteen and in a regular airplane at sixteen. 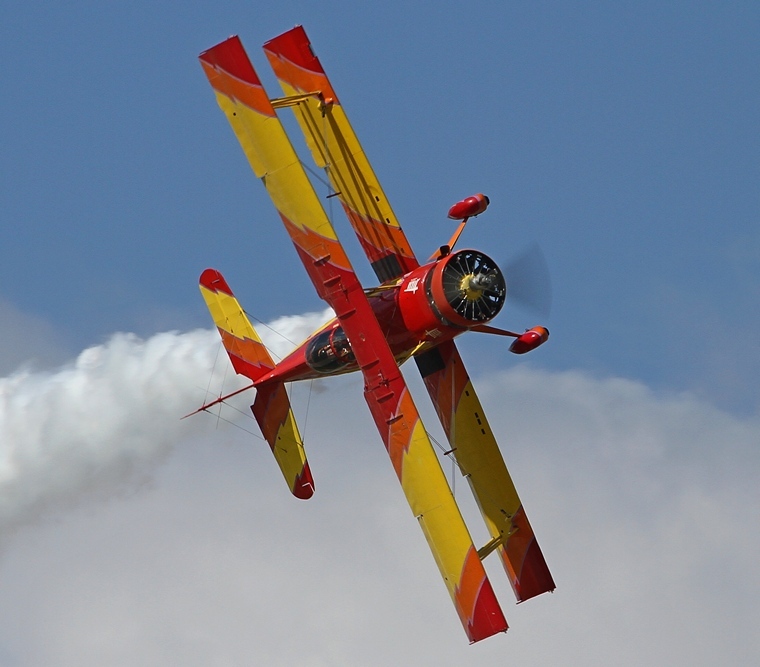 He began flying professionally in airshows in 1968. In 1972 qualified for a place on the U.S. aerobatics team that were to compete at the world championships in England. Soucy was the youngest competitor at the championships. 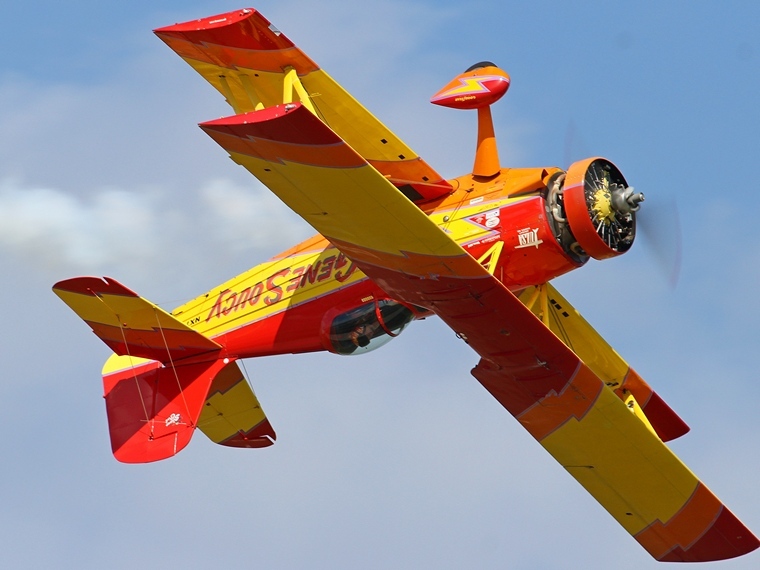 In 1971 Gene, Charlie Hillard, the first American to win the world aerobatics title and Tom Poberezny, a former aerobatic world champion and the son of Paul Poberezny founder of the EAA, flying Pitts Specials formed the Red Devils Aerobatic Team. They performed to standing ovations at hundreds of airshows until 1979 when they were approached by Frank Christensen who invited them to test fly the Christen Eagle, an aerobatic aircraft he had designed. The team were so impressed that they switched to the Eagle and renamed the Red Devils to the Eagles Aerobatic Team. With Hillard as the lead pilot the Eagles would over the next quarter of a century flew more than 1000 performances, setting a record for the longest running aerobatic team with the same members. Grumman's Ag Cat was designed in 1958 and is the first agricultural aircraft to be used in the airshow environment. The former crop sprayer was modified over a six months period by Jim Swick at his son's "Swick Aircraft" facility. The project entailed a complete renovation during which the hopper was removed and a two seat front cockpit and a new rear cockpit were added. A new engine cowling, dorsal fin and turtle deck, new gear fairings, wheel pants, and smaller tires were installed. The wings were clipped to improve roll rate. The total aerodynamic clean-up improved cross-country cruising speed from 90 Mph to 110 Mph. If there ever was an airplane created expressly for the airshow industry, the Showcat is it. The Pratt & Whitney 985 Radial that has been an airshow tradition since the 1930's provides the earth-shaking noise that airshow spectator's love. To accommodate a Hollywood style smoke and noise solo routine a Bendix fuel injector, new inverted fuel and oil systems and an airshow smoke system were fitted. A wing rider stand was constructed and fitted for the wing walking act performed by Gene's girlfriend Theresa Stokes. A wing-tip smoke and pyrotechnic system was designed and installed for the night pyrotechnic show. According to Gene the modified Ag Cat makes the "perfect airshow airplane". It is of all metal construction, easy to maintenance, has excellent controllability and a good cross-country range. 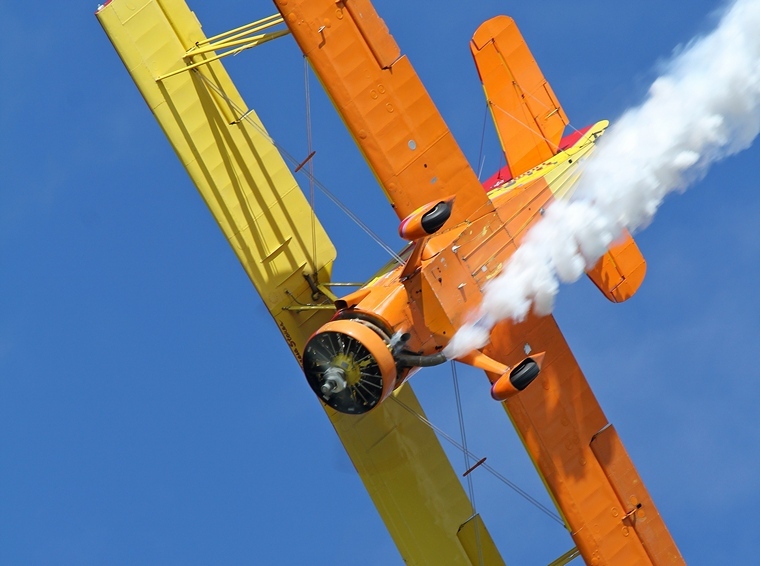 The combination of the Showcat's light wing-loading and high lift aerofoil section provides the perfect slow speed performance for the wing walking airshow. 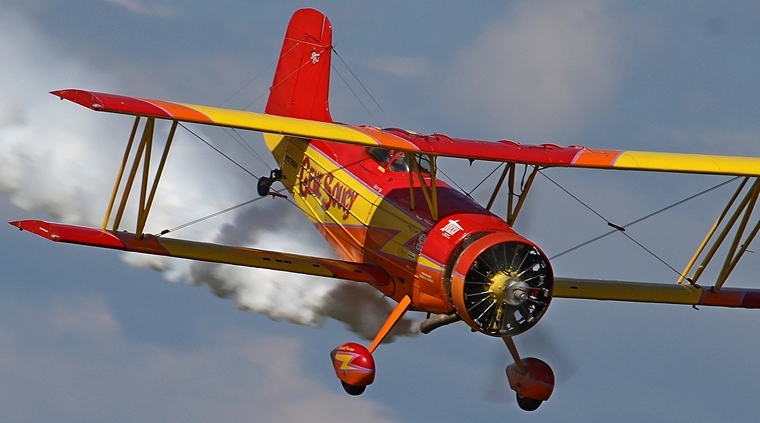 In the airshow configuration, the Showcat is still operating 1,500 pounds below the maximum weight it was flown when in the crop-duster configuration with a full load of chemicals. 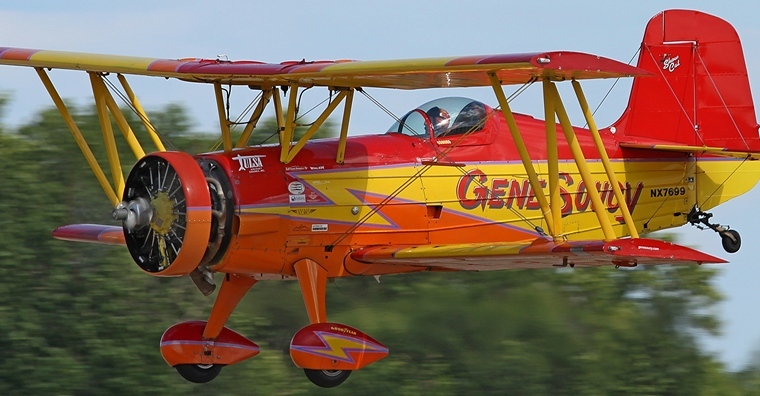 Gene, Theresa and the Showcat have been thrilling audiences across the USA for years and will continue to do at AirVenture 2017.